What's cookin' at The Red Maple. To stay up to date on promotions and specials, follow us at TheRedMapleGretna on Facebook. 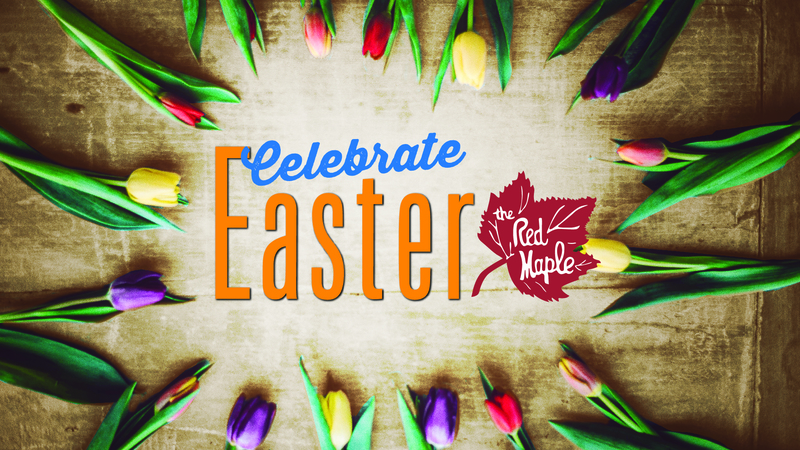 The Red Maple, 1036 Lafayette St. in Historic Gretna, is offering a delicious Easter Menu to make your celebration with family and friends memorable. Make plans to join us for a wonderful Easter brunch or luncheon. Our special menu is available 11 a.m. to 3 p.m., Easter Sunday (April 21). Make your reservation now by calling (504) 367-0935. Our a la carte Easter menu includes starters such as crab cakes; stuffed mushrooms; bacon wrapped, jalapeno-stuffed shrimp brochette with Monterey Jack cheese; turtle soup, crab & corn bisque, and a selection of signature salads. Our steak selections, including a petite or large cut Filet Mignon, regular and large cut Choice Rib-eye, and NY Strip Steak, are offered with a variety of topper options like lump crabmeat, fried oysters or grilled or fried shrimp. For specialties we’ve included maple chicken waffles, Pork Porterhouse, Steak Benedict, stuffed softshell crab and Redfish Pontchartrain in a sherry mushroom cream sauce topped with crabmeat. Reservations are recommended. Please call us at (504)367-0935 to reserve your table.